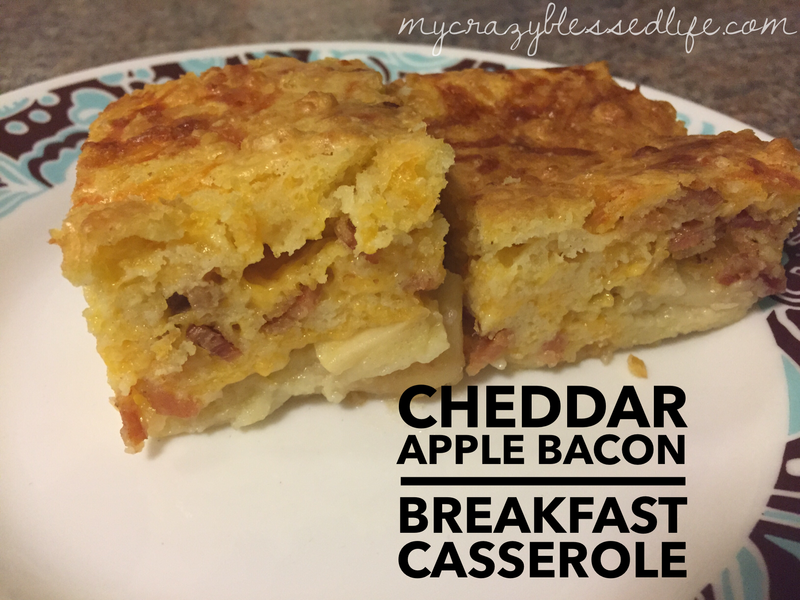 Cheddar Apple Bacon Casserole | My Crazy Blessed Life! 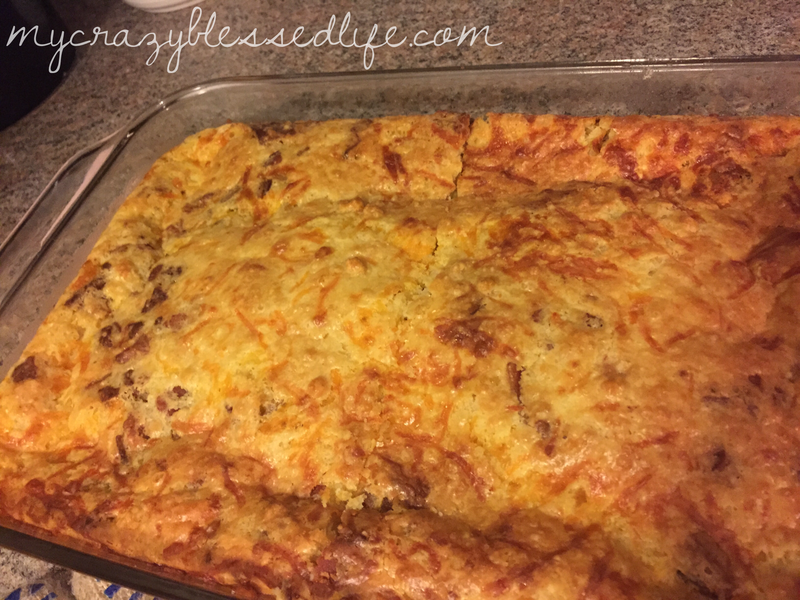 This recipe is always a big hit whenever I take it anywhere or have it for breakfast at our house when we have company. 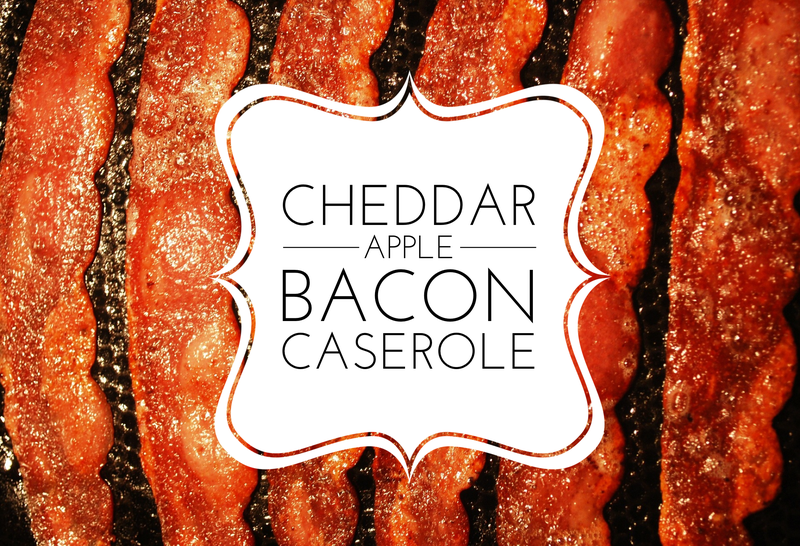 The combination of cheddar, apple, and bacon may sound strange but it is delicious! 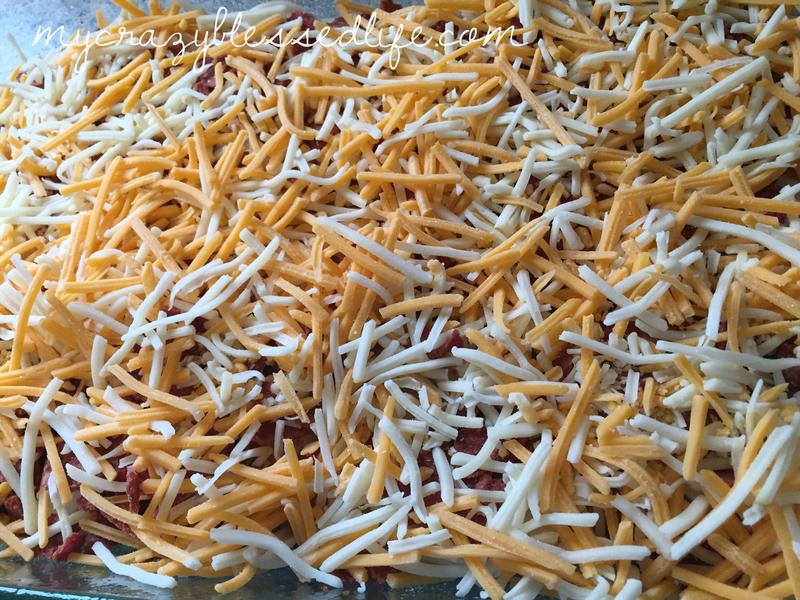 My Aunt used to make it whenever we would visit and this was always my favorite dish. 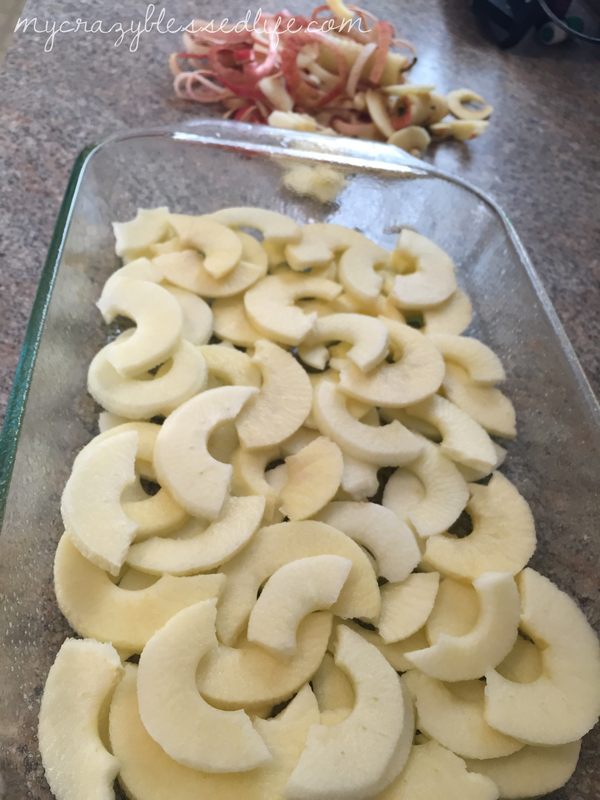 First peel the apples, core them and slice them into thin slices. 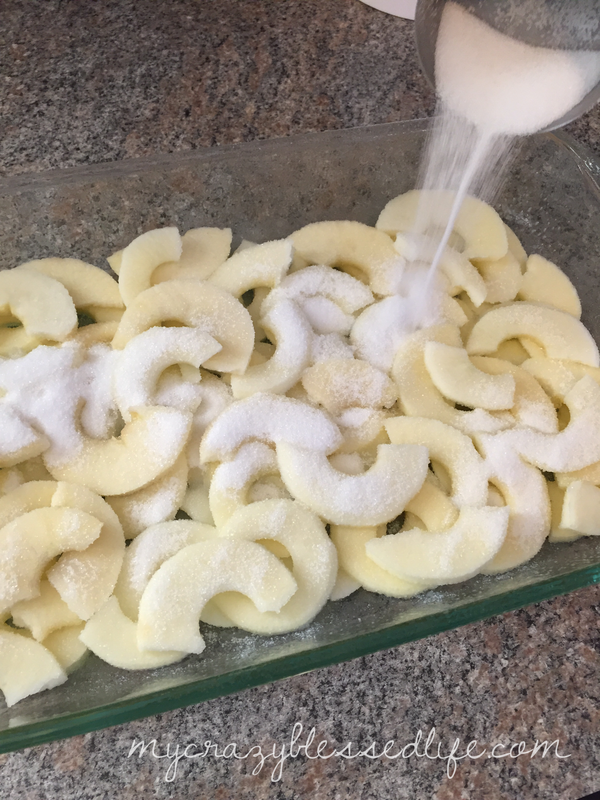 Then sprinkle with 1/2 cup sugar evenly over the apple slices. Next cook the turkey bacon. Also mix up the bisquick, eggs and milk. 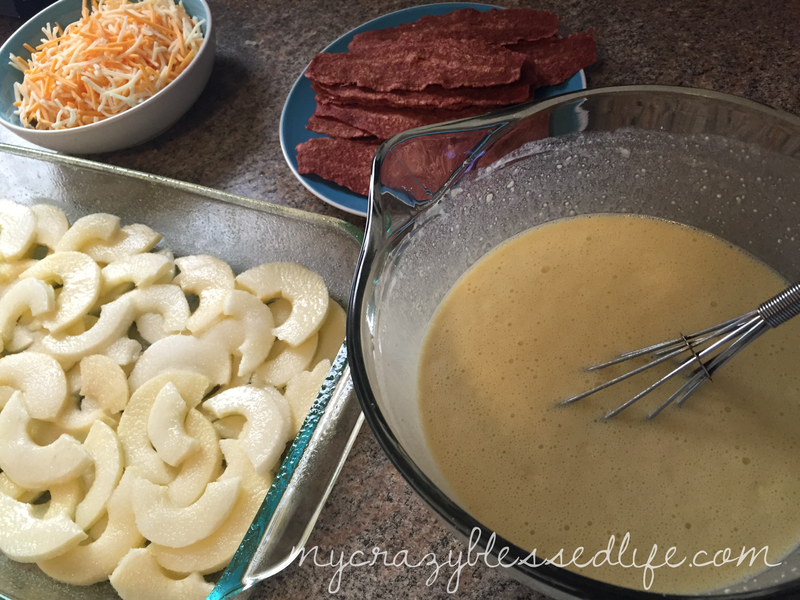 I use a whisk and make sure I whisk it until it is very smooth with no lumps. 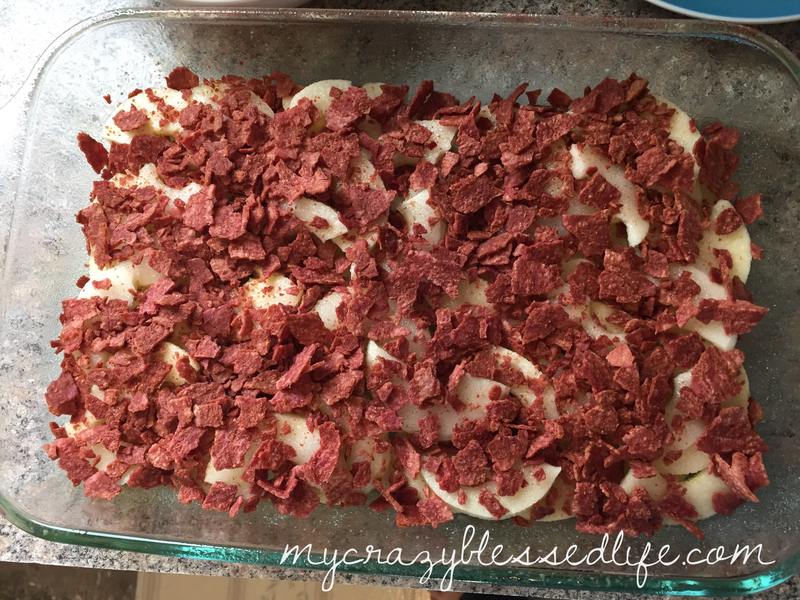 Crumble the bacon over the apples and sugar. 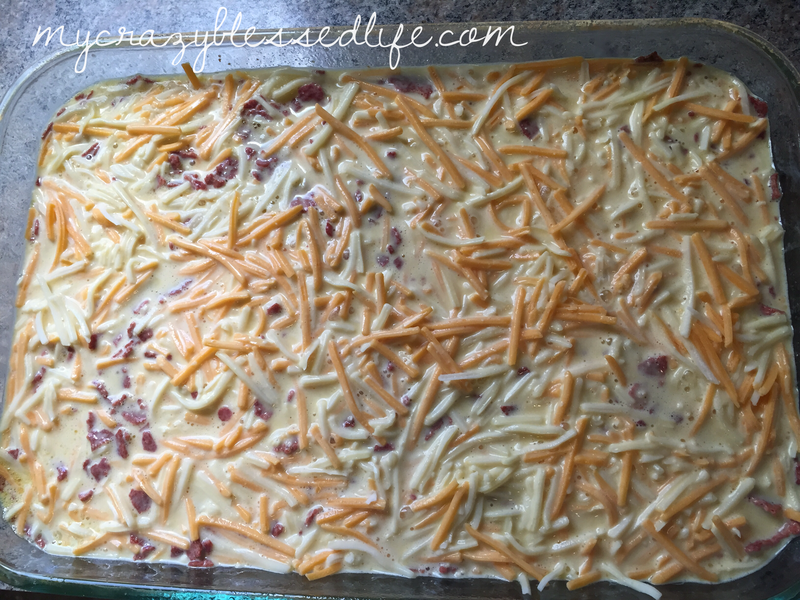 Evenly spread the cheddar over the bacon layer. Pour the bisquick mixture over the entire thing. Bake at 350 for 35-45 minutes until set in the middle, I use a wooden skewer to check. Enjoy! This never lasts very long at our house 🙂 Thanks for stopping by!